Before jumping into today’s post, I would like to let you know that I have a new Life of Dad post all about my sage advice for attending a State Fair. Heed my warnings. 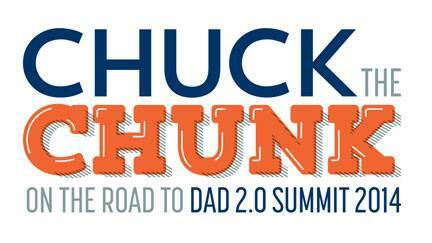 So I have joined a contest with 26 other dad bloggers. It is called “Chuck the Chunk” and it is a fitness contest of sorts. While weight loss is certainly one of the goals, it is not the only goal. That being said, I am looking for new challenges. I have a gym membership which I plan to continue to use, but I also want to sample some other traditional/non-traditional types of workouts. Have something in mind for me? Tweet me (@acjlist), email me (Creed @ lifeofdad.com), or visit my Facebook page, “Like” me (somebody has to), and leave me a message on my wall. If you are local (Indy) and would like to invite me to workout with you, contact me and hopefully we can work something out. I am also looking for sponsors for this foray into fitness. Like I said, I would like to experience some different workouts, but that generally costs money. In addition, I would like to recreate some famous workout scenes from movies. I need some help compiling a list, so if you can think of any (Rocky, Karate Kid, etc.) shoot me an email, tweet, message, or comment. At any rate, The Captain is looking to downsize and have fun doing it. What would you suggest?